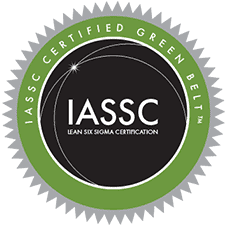 After completion of the course, candidates will take the IASSC Green Belt exam online at a convenient time. After successfully passing the exam, certification will be awarded. This course covers the difference between the Yellow Belt and the Green Belt courses and candidates must have completed the IASSC Yellow Belt training route prior to attendance. Lean and Six Sigma deliver business goals and objectives through the rigorous application of proven improvement methodologies. Combining both these methodologies eliminates waste, increases value and reduces variation. By focusing on the customer and delivering benefits quickly it is possible to improve quality performance and profitability simultaneously. 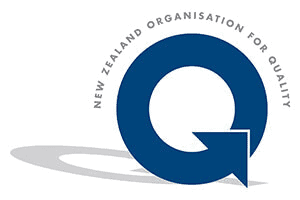 Thornley Group Green Belt training is carried out by professional trainers who are experienced as senior management practitioners in both Six-Sigma and Lean. After 3 days of classroom training you will sit the IASSC exam and if successful you will become an IASSC certified Green Belt. Attendees must be IASSC Certified Yellow Belts. Thornley Group training programmes are designed to suit all levels, from senior management to new employees, from awareness training to specialised training. We provide an enjoyable and effective learning experience that is designed to give measurable results. Content can be designed for your particular organisation’s needs and delivered with your own corporate branding if desired. Training locations can either be on your site or in one of our approved venues as required. Improving business performance involves many steps. The first step is a commitment to doing business differently. Those organisations that adopt Lean and Six Sigma approaches across their activities perform effectively and efficiently with unnecessary waste eliminated. Significant measurable cost, quality and delivery improvements are achieved along with improved customer satisfaction and increased competitiveness. Contact us to find out more about our training and consultancy services. At Thornley Group we provide training and consultancy services that enable organisations to set strategy and deploy business process improvement in a sustainable way. We ensure that all the know-how required for sustainability is in place so that benefits can continue to be realised in the long-term. Training key people in business improvement methods is a key practical step towards becoming a highly performing organisation. We can provide you with all the support required for setting a strategy and deploying it successfully. Speak to one of our training consultants today. Our Green Belt training gives an extensive grounding in Lean Six-Sigma which covers in detail: Lean tools and techniques and business benefits, project set-up, DMAIC and all the associated statistical tools and techniques. Thornley Group Green Belt training is targeted at people who spend a significant amount of time involved in process improvement. This could either be as a process owner or a member of a team working on an improvement project. After completion of this training you can be upgraded to a Black Belt certificate with only a further 5 days of training. Using their practical experience of improvement programmes, along with simulation exercises, our trainers can take candidates through the process of applying the tools and techniques that they learn. The 3-day upgrade focuses on the Green Belt advanced topics for each of the DMAIC phases. This is a very detailed intensive 3-days. After Completion of the course, candidates will sit an IASSC exam. 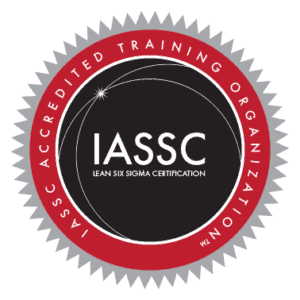 After successfully passing the exam, attendees will receive an IASSC Green Belt Certificate. It is recommended, for professional credibility, that candidates participate in a project that delivers significant cost savings, defect reduction or other customer impact. Thornley Group will provide email support for 6 months after completion of the course to help candidates achieve this. Candidates must have basic numeracy skills (See separate maths qualifier test on our resources page). A familiarity with Computer Spreadsheets is also required. Candidates should ideally have the authority to work on a project in their organisation as this will improve credibility with prospective employers. This should be a cost saving, defect reduction or other customer impact project.